Island Green Week on Put-in-Bay and Middle Bass Islands this summer will make you remember what you loved most about the islands as a kid – water, rocks, cliffs, caves, kayaking, meteor showers, moss, moonlit nights, beach bonfires, cozy camping, swimming, beach combing, cottaging with your family, ferry rides, staying the night at the lake and nature. Let’s do it all over again during Island Green Week, August 6th through the 13th, 2016, on Middle Bass Island and Put-in-Bay in Lake Erie, Ohio. Three of the biggest organizations and proponents of nature on the Erie Isles have teamed together to bring you some great activities during this week-long event. Experience a taste of the unique wine culture, an island-style pig roast, kayaking a Great Lake, and a dedication of the newest lakefront nature preserve on Put-in-Bay. See wildlife, flora and fauna. Sail on a meteor shower cruise, and by special invitation explore, tour and hike island places people would not normally see. Aug. 6th – Middle Bass Island Poker Kayak Day – 10 a.m. to 2 p.m. (Rain date Aug. 7th) Fee. Aug. 7th – Dedication and Party at the new Massie Cliffside Preserve – 1 p.m. PIB Activities include hiking, fishing, birdwatching and guided nature tours. Aug. 8th – Tour a Great Lake Lighthouse – Put-in-Bay – Fee. 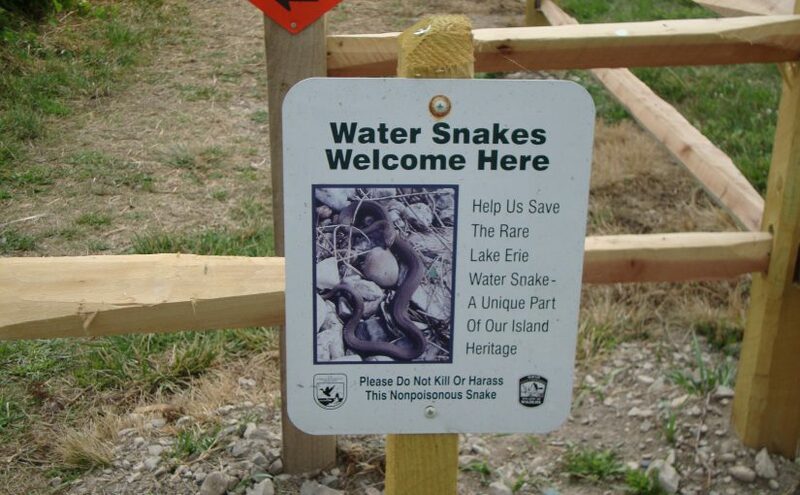 Aug. 9th – Wild Tuesday at the Nature & Wildlife Center – Put-in-Bay – Free. Aug. 10th – Island Preserve Ramble & Tour highlighting natural areas on South Bass Island – 9 a.m. to 5 p.m. Includes special activities at each preserve, a printed guide and a light lunch at the Put-in-Bay Town Hall. Fee. Wildlife Center’s annual Pig Roast at 6 p.m. at the Goat Restaurant. Fee. Entertainer Ray Fogg performs, plus a silent auction fundraiser. Aug. 11th – Meteor Shower Cruise aboard a Miller Boat Line ferry. Cruise for two hours departing sunset. Refreshments included. Fee. Aug. 12th – Visit the Aquatic Visitors Center and Fish Hatchery. Free. Aug. 13th – Middle Bass East Point Preserve Photo Walk – 10 a.m. to 11 a.m. – Free. Explore the islands many natural and historic treasures-caves, shores, cliffs, museums on your own as well. Some fees apply. This is a great time of year to visit! The Lake Erie Islands Nature and Wildlife Center, Lake Erie Islands Conservancy, and the Put-in-Bay Township Park District are the sponsors for these events and fundraisers that will benefit island nature programs.